As aesthetic practitioners, patients come to see us because they are seeking improvement of their skin, face or body, and may be anxious or embarrassed. For many patients, making the first appointment will have taken a great deal of courage and careful consideration. It is therefore important to earn each patient’s trust to guide them smoothly through the consultation and treatment process, with the aim of retaining their business and referrals in the long term. 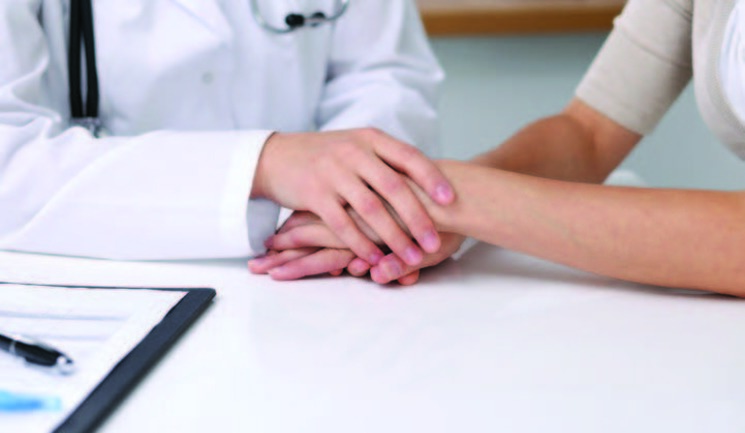 Trust allows the patient to openly and effectively discuss the issues that concern them so that the practitioner can advise them of the most appropriate treatment options. When patients develop this level of trust, I have found that they are also more likely to comply with the practitioner’s recommendations and the overall treatment plan, and hence achieve better results. In order to gain trust, there are three main areas that you should focus on, which include how to present yourself prior to the consultation, the first meeting and your follow-up communications. Often, the first point of contact for patients is your website. It is therefore important to make a site that accurately reflects your brand, is user-friendly and informative. This includes being mobile optimised, as many people will use their phones to conduct an internet search, so you need to ensure your website is easy to navigate on all platforms. According to a survey carried out in 2015 by global information and measurement company, Nielsen, which surveyed 30,000 internet respondents in 60 countries, data indicated 70% of people trusted branded websites.1 This reinforces the importance of making your branding obvious to your patients by clearly displaying who you are and the services that you offer on your website. Your unique selling point, your treatment specialities as well as your location should also be obvious. It is also very important to make patients feel comfortable when they are attending the clinic for the first time and to take away any uncertainty if possible. Images and videos of the clinic that can be viewed online before they visit, such as the reception area, waiting room and treatment rooms, often help patients to feel comfortable and at ease as they will recognise surroundings. Many patients will also identify with what existing customers think about the practitioner, staff and the clinic. 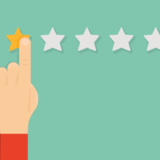 Word-of-mouth, independent reviews and social media can have a positive impact on a practitioner’s and a clinic’s reputation. I have found that many patients trust testimonials and want to get another patient’s candid opinion. According to Nielsen’s survey, 66% trust other people’s opinions that have been posted online.1 Hence, it is important to clearly display independent reviews on your website. As well as this, data by Nielsen’s survey further indicates that 83% trust recommendations from friends and family above all other forms of advertising.1 It is therefore important to remember that if your patients are happy, they will recommend you to their friends and family. Professional qualifications, membership of professional bodies, experience, recognition within the industry and industry awards enhance the practitioner’s credibility. Patients often check the practitioner’s credentials, experience and reputation by researching online. Ensure that you have the sufficient credentials for your treatment offerings and that they are easily accessible to perspective patients via your website. This will make patients feel comfortable and confident in your skills and hence develop trust in you and your clinic. It is important to keep up to date by regularly attending conferences and training events and it can be beneficial to mention this attendance on your website, which can further promote you as a reputable practitioner. Membership of an appropriate college, such as the British College of Aesthetic Medicine, is also valuable as it demonstrates that you are part of a recognised industry body. Winning industry awards, or even becoming a finalist, also significantly demonstrates industry recognition and competence within your specialty, which will be visible to patients when they research online. Is the reception and waiting room warm, welcoming and comfortable? Is the clinic professional looking, with neat, tidy products and equipment? Is the receptionist welcoming, friendly and knowledgeable? Is the team dressed professionally and behaving in a professional manner? Are the staff enthusiastic and knowledgeable? Effective communication is essential to developing a mutual understanding between the patient and the practitioner. Communication encompasses speech, visual aids, clinic environment, how patients are greeted and much more. Getting to know your patient on a personal level by spending adequate time with them and learning about and understanding their personal situation helps build rapport and enables trust to develop. Give the patient your full and undivided attention and time. Offer the patient knowledge and guidance so that they are empowered to make an informed decision. I believe more educated patients are more satisfied patients. Always speak to patients honestly. Most patients will appreciate your candour. It is essential to make sure that your patients’ expectations are realistic and that they are aware of the costs, limitations of treatment, possible complications and likely outcome. Develop personalised treatment plans with costs, which are written down for them to take home and consider. Give additional information regarding the procedure, including recovery time and potential side effects. Check that the patient understands the procedure and process and feels comfortable going ahead with treatment. Patients will feel more confident if they are involved in the decision making process.3,4,5 Patients are putting their trust in the practitioner and clinic, so want to feel that their treatment is safe and will help them achieve excellent results. Contacting patients after an initial consultation or a procedure makes the patient feel that you care. This is ideally done with a telephone call made by a member of the team, such as reception staff or therapists, the next day and then a follow-up appointment with the practitioner who performed the procedure. This is to make sure that the treatment went to plan and to address any concerns that the patient may have. It is also important to have visual proof in the form of before and after photographs or videos that patients can refer to, to illustrate the results achieved with treatment. It is important to find out how a patient would like to receive communication after their procedure – via phone calls, emails, text, newsletters etc. They can state their preferred methods on their initial consultation form. Ensure you listen to your patients’ requests as they will not want to be bombarded with information that is irrelevant to them. As well as electronic communication, information evenings are an excellent way to provide knowledge to patients and potential patients regarding the clinic and specific treatments. It is vital to allow patients to give feedback post procedure and express any concerns or positive thoughts that they may have. Patients value the fact that you listen to what they have to say and if you ensure that they feel that their opinion matters, this enables trust to develop. It also allows the clinic to address what is working and not working, thus enabling the clinic to grow. By considering the above five points, you will be well on your way to developing patient trust in your abilities and your clinic. However always bear in mind that the best way of developing long-term happy and loyal practitioner-patient relationships is on a foundation of trust and by taking care of our patients.